South Africa’s Steve Sawyer (Jeffreys Bay) finished runner-up in the Noosa Longboard Open, the first of four events on the World Surf League (WSL) Longboard Tour that decide the annual world longboard champions in the revamped format introduced this year. Sawyer, the top seed and reigning WSL longboard champion after winning the one-off title decider in Taiwan in December, was elated to contest the final against Justin Quintal (USA) and is looking forward to travelling to venues he has not previously visited to defend his crown this year. The surfer-musician, who grew up riding the long walls of Jeffreys Bay and has won internationally rated events on both short and longboards, cut a swathe through the world’s best riders of surfboards that are a minimum of 2.8 metres in length and have single fins. Sawyer eliminated two-time world champ Phil Rajzman (BRA) with a last minute ride in their Round 5 encounter, convincingly outpointed 2006 world champ and four-time Noosa event winner Josh Constable (AUS) in their quarter-final clash and defeated three-time world champ (2011,2012 and 2017) Taylor Jensen (USA) in their semi-final duel to reach the final. In his first WSL event in almost five years, Floridian Quintal surfed through eight rounds at three locations including First Point, Main Beach and Castaways as the organisers moved the event to the best waves in the area as the swell faded. He posted excellent scores all the way but after a boundary pushing performance in his semi-final, it seemed as if he had peaked too early, leaving Sawyer to lead for the majority of the final. Fortunately for Quintal, he found a long walling left and rode it perfectly, combining drop knee cut-backs with some long hang-tens through the critical sections to take the lead and clinch victory. “This feels amazing and definitely a little unexpected,” Quintal said. “It was a super long trip to get here and a bit of a last minute decision which I’m pretty glad to have made. It’s been a really crazy week with the swell dropping and the event moving around a lot. The way the event crew have dealt with it is super impressive and we’ve always been in the best waves possible each day. Sawyer’s compatriots Sam Christianson (Durban) and Dylan Macleod (Port Elizabeth) were both eliminated in their opening heats with Christianson finishing equal 33rd and Macleod equal 57th overall. Chloe Calmon (BRA) has finished just short of a world title a number of times in her young career but hopes that in 2019, she can go all the way. The 25-year-old Brazilian longboard prodigy has all the makings of a champion but not yet the silverware to match it. Calmon got her 2019 campaign off to the perfect start with a dominating performance over Honolua Blomfield (HAW) in the final and believes that the revamped WSL Longboard Tour with new locations and format could put her in a better position than she’s ever been to take WSL Longboard glory. “I’m so stoked to win this event but I’m more stoked about the direction Longboarding is going in,” Calmon said. “With the new events and the new format longboarding is in such a good position. There is more opportunity to win the title and even more opportunity for more surfers to compete which is so cool. It’s such an exciting time to be involved. Quintal and Calmon are now the number one ranked surfers in the world on the revamped WSL Longboard Tour which comprises of four events – Noosa, Queensland; Pantin, Spain; New York City and Taitung, Taiwan. The results of these events will decide the eventual 2019 WSL World Longboard Champions. Full results, news, images and video footage from the Noosa Longboard Open are available at www.worldsurfleague.com and on the WSL App. The World Surf League (WSL) is dedicated to celebrating the world’s best surfing on the world’s best waves through a variety of best-in-class audience platforms. The organization, headquartered in Santa Monica, is a global sport with regional offices in Australia, Africa, North America, South America, Hawaii, Japan and Europe. The WSL has been championing the world’s best surfing since 1976, annually running more than 180 global events across the Men’s and Women’s Championship Tours, the Big Wave Tour, Qualifying Series, Junior and Longboard Championships, as well as the WSL Big Wave Awards. The League possesses a deep appreciation for the sport’s rich heritage while promoting progression, innovation and performance at the highest levels, and in doing so crowns the undisputed Men’s and Women’s World Champions across all tours. Showcasing the world’s best surfing on its digital platform at WorldSurfLeague.com, the WSL has a passionate global fan base with millions tuning in to see world-class athletes like Kelly Slater, Stephanie Gilmore, Tyler Wright, John Florence, Lakey Peterson, Paige Alms, Kai Lenny, Steven Sawyer, Soleil Errico, Carissa Moore, Gabriel Medina, Courtney Conlogue and more battle on the most dynamic field of play of any global sport. A record-setting eight South African surfers have ended the 2018 World Surf League (WSL) Qualifying Series (QS) ranked in the Top 100, improving on the five in 2017, three in 2016 and just two in 2015. The annual rankings are based on each surfer’s best five results after 64 events rated from QS1,000 to QS10,000 on all five continents and featured a total of 1384 surfers. The top 10 in the rankings automatically qualify for the following year’s elite Championship Tour (CT). Qualification for the limited fields in the biggest QS events for the first half of 2019 also will be based on the 2018 rankings. Matt McGillivray is the country’s highest ranked QS campaigner, ending the season at No. 30. Thanks to his victory in the first event of the year, a QSS3,000 in Israel, the Jeffreys Bay surfer was well seeded in events through the first half of the year. He finished 17th in the QS6,000 Burton Automotive Pro in Australia and won the QS1,500 Vans Surf Pro Classic at Lamberts Bay. McGillivray went on to take 17th place in QS10,000 EDP Pro Ericeira in Portugal and finished the season strongly with 9th place, and a season’s best haul of 3,800 points, in the QS10,000 Vans World Cup held in giant waves at Sunset Beach in Hawaii last week. Jordy Smith (Durban) has been a fixture among the world’s Top 32 on the CT for the past 11 seasons and only competed in three QS events this year, finishing No 38 overall after grabbing fifth and 13th place results in the two QS10,000’s in Hawaii along with a low 73rd place for his token appearance at the Ballito Pro pres. by Billabong in June. Currently CT No. 6 on the CT, Smith is out of contention for the world title heading into the season ending Billabong Pipe Masters, but still has a mathematical chance of becoming the first South African male to clinch the prestigious Vans Triple Crown of Surfing (VTCS) title if he can better his career best fifth place result at Pipeline. Smith was awarded the VTCS Rookie of the Year title in 2007, while back in 2001Heather Clark (Port Shepstone) won the VTCS women’s crown and she remains the only Saffa to claim the accolade which is second only to the World Champion title in status. Beyrick de Vries (uMhlanga) retained his position in the Top100 for the sixth consecutive year, finishing 49th this year after being the country’s top QS surfers from 2013 to 2016. The KwaDukuza based 25 year-old’s strong performances in Hawaii, where he famously scored a perfect 10-point ride for what has been described as the ‘best tube ride in a contest at Sunset Beach’, saw him maintain his seeding for the major events next year. Indeed, the Hawaiian performances of all the Saffas was really encouraging as the QS season wraps up with back-to-back QS10,000’s where career-changing qualification hopes and preferential seeding can be realised or dashed on a single heat result. McGillivray’s familiarity with the powerful island waves has developed exponentially thanks to the amount of time he spends with his Hawaiian girlfriend Zoe McDougall on the North Shore of Oahu and this will stand him in good stead for future campaigns. Hawaiian based Capetonian Benji Brand is a standout there and has already won several events and also earned a coveted wildcard into last season’s Billabong Pipe Masters. Michael February (Cape Town) will complete his rookie CT season at Pipeline over the next week and the difficulty of competing on both tours showed in his QS results as he dropped from 15th to 50th this year, while David van Zyl (Glenashley) has become a force to be reckoned with at both the Hawaiian venues of Haleiwa and Sunset Beach. QS rookie Adin Masencamp (Strand), who clinched the WSL Africa junior title in 2017 and franked his contest credentials by claiming the region’s open men’s title this year, showed great promise in his maiden visit to Hawaii and has ensured he will qualify for big events next year with 87th place ranking. Dylan Lightfoot (Jeffreys Bay) secured his Top 100 status with his 49th place result in the Hawaiian Pro at Haleiwa while Slade Prestwich (Durban) showed the benefits of his busy international travelling schedule and earned his best points haul when he reached the final of QS3,000 HIC Pro at Sunset, finishing fourth behind third placed Beyrick de Vries. The significant improvement in the ranking of South African surfers can be attributed to the expanded series of regional events organised by WSL Africa Operations Manager Colin Fitch whose tireless efforts to provide local surfers with the opportunities to make surfing their career have really paid off in the last two years. After more than five years as WSL Africa’s marketing agents, Accelerate Sport have created an exciting package for local businesses which has seen six events added to the regional calendar, encompassing juniors (18-and-under), open and longboard events for both men and women. The WSL Africa membership base has also increased dramatically to more than 150 and the prize-money on offer has kept pace with over R6 million up for grabs this year. Much of that comes from the QS10,000 rated Ballito Pro pres. by Billabong which crowned it’s 50th champion this year and has the distinction of being the world’s longest running professional surfing event. With the likes of Steven Sawyer (Jeffreys Bay) clinching the 2018 WSL World Longboard Surfing title, Grant ‘Twig’ Baker (Durban) heading the WSL Big Wave Tour rankings with just one event to go, Jordy Smith a perennial threat for the WSL Men’s World Title and rapidly improving results being achieved by the QS warriors, professional surfing in the region heads into 2019 in robust good health. The World Surf League (WSL) is dedicated to celebrating the world’s best surfing on the world’s best waves through a variety of best-in-class audience platforms. The organization, headquartered in Santa Monica, is a global sport with regional offices in Australasia, Africa, North America, South America, Hawaii, Japan and Europe. Showcasing the world’s best surfing on its digital platform at WorldSurfLeague.com, the WSL has a passionate global fan base with millions tuning in to see world-class athletes like Kelly Slater, Stephanie Gilmore, Tyler Wright, John Florence, Lakey Peterson, Paige Alms, Kai Lenny, Taylor Jensen, Honolua Blomfield, Carissa Moore, Gabriel Medina, Courtney Conlogue and more battle on the most dynamic field of play of any global sport. 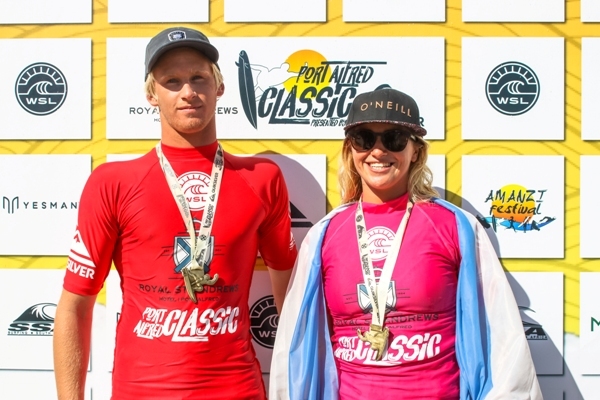 Jordy Maree (Cape Town) and Josefina Ane (Argentina) earned the biggest wins of their professional surfing careers today when they clinched the men’s and women’s World Surf League (WSL) Qualifying Series (QS) titles at the Royal St Andrews Hotel Port Alfred Classic pres. by Quiksilver. Veteran former two-time ISA World Longboard Champion Matthew Moir (Cape Town) celebrated his first victory in a WSL rated event by defeating former WSL No. 2 Steven Sawyer (Jeffreys Bay) in a high performance final that highlighted the talent of local longboard surfers. The inaugural Royal St Andrews Hotel Port Alfred Classic pres. by Quiksilver, Stop No 2 of 13 on the 2018 WSL Africa Tour, enjoyed great waves and conditions at East Beach in Port Alfred, bringing WSL competition back to the Kowie Rivermouth for the first time since the 1990’s. On a day when goofy foot surfers (those who ride with their right foot in front) dominated proceedings by filling all six spots in the three finals, Jody Maree led the charge with an outstanding win over red hot Australian Jordan Lawler. Maree opened his account in the final with two massive backhand turns and then safely completed the close-out re-entry to earn 7.25 out of 10, which ultimately was the highest score of the encounter. He continued to build his heat total with mid-range scores, but Lawler blasted back into contention with a 6.0 and then took the lead with a 6.90 with seven minutes still on the clock. Holding his nerves in check and using the priority system intelligently, Maree waited for a wave that peeled down the sandbar and hooked into two huge backhand blasts that were rewarded with a 6.45 to regain the lead. Needing a 6.81 with just two minutes remaining, Lawler went for broke on a high flying aerial manoeuvre but couldn’t land it and Maree claimed the win. Maree was very fortunate to advance from his first heat in the event when he was penalised for a priority interference but managed to progress with a single ride score of 6.75. On finals day he outpointed established QS surfer Dylan Lightfoot (Jeffreys Bay) in the semi-finals and scored a narrow win over another seasoned traveler in Slade Prestwich (Durban) in the quarter-finals. His victory earned Maree R12,000 and 1,000 points on the QS and regional rankings which, combined with his haul of 560 points for a third-place finish in Port Elizabeth last week, sees him jump to the top of the WSL Africa leaderboard. Lawler started his finals day by eliminating Cape Town based junior Max Elkington (Kommetjie) in the quarters and then delivered the only perfect 10 point ride of the event in his semi-final win over Greg Emslie (East London), one of South Africa’s most celebrated surf stars. The Australian had already posted an excellent 8.0 score and finished with a heat tally of 18.0 out of 20, the highest in the entire men’s event. Josefina Ane arrived in South Africa last week fresh off a career-best runner-up finish in a QS1,000 event in her hometown of Mar del Plata. The 19-year-old was elated to secure her first title by defeating 14-year-old standout Zoe Steyn (East London) today. The highest QS ranked woman in the event at No. 56, the Argentinean ousted reigning WSL Africa Junior and QS champions Sophie Bell (Salt Rock) and Nicole Pallet (La Lucia) in the quarters and semis respectively. In the finalshe selected great waves and used her exciting backhand attack to build what became an insurmountable 13.75 point total that her younger rival could not match. Steyn usually competes in the junior events but was unfazed by her older opponents in Port Alfred and consistently produced high heat totals throughout the event. She ousted women’s longboard winner Crystal Hulett (St Francis Bay) from the event in their quarter-final match up and then reached the final by eliminating Emma Smith (Jeffreys Bay) in the semis. The result saw the youngster leapfrog into joint first place on the WSL Africa women’s rankings after two events. The introduction of Longboard Qualifying Series (LQS) events to the WSL Africa schedule added an exciting new dimension to the contest and the performances produced by the top men and women proved that there is a hotbed of talent in the country The highest heat total of the entire event – a near perfect 18.50 out of 20 – was delivered by Steven Sawyer (Jeffreys Bay) in his semi-final win over Michael Hill. Matthew Moir has been at the top of the worldwide longboard scene for two decades and put on a master class to capture the LQS men’s title by defeating Sawyer by 15.25 vs. 13.90 in a pulsating final that saw both men effortlessly combine traditional and new school manoeuvres on their nearly three metre long surfboards. The final of the LQS1,000 women’s event was run on Saturday with Crystal Hulett taking the win over Marishka Myers (Jeffreys Bay). The event also hosted activities designed to foster and encourage surfing among young people, regardless of their background. These were coordinated by Surfing South Africa, the national controlling body for the sport, and run by SSA Development Officer, Danielle Powis. Next weekend sees the Mitchum Buffalo City Surf Pro pres. by Reef Wetsuits at Nahoon Reef in East London, Stop No. 3 of 13 on the 2018 WSL Africa Tour and the second of five events in the City Surf Series. The World Surf League (WSL) is dedicated to celebrating the world’s best surfing on the world’s best waves through a variety of best-in-class audience platforms. The League, headquartered in Santa Monica, is a global sport with regional offices in Australasia, Africa, North America, South America, Hawaii, Japan and Europe. The WSL has been championing the world’s best surfing since 1976, annually running in excess of 180 global events across the Men’s and Women’s Championship Tours, the Big Wave Tour, Qualifying Series, Junior and Longboard Championships, as well as the WSL Big Wave Awards. The League possesses a deep appreciation for the sport’s rich heritage while promoting progression, innovation and performance at the highest levels, and in doing so crowns the undisputed world champions in Men’s, Women’s across all divisions within the tour. Showcasing the world’s best surfing on its digital platform at WorldSurfLeague.com as well as the free WSL app, the WSL has a passionate global fan base with millions tuning in to see world-class athletes like Tyler Wright, John John Florence, Paige Alms, Kai Lenny, Taylor Jensen, Honolua Blomfield, Mick Fanning, Stephanie Gilmore, Kelly Slater, Carissa Moore, Gabriel Medina, Courtney Conlogue and more battle on the most unpredictable and dynamic field of play of any sport in the world. 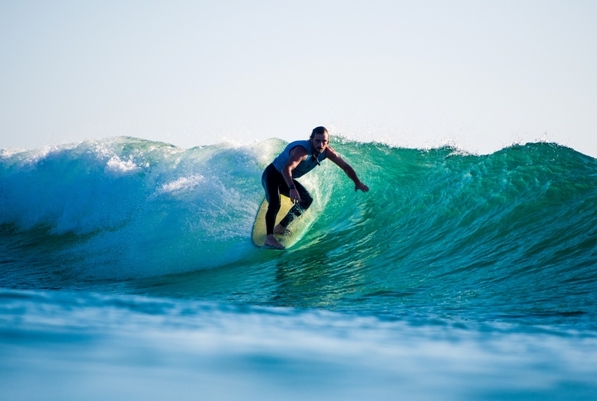 Surfing South Africa is recognised governing body for Surfing in South Africa by the Department of Sport and Recreation. SSA is a member of the South African Sports Confederation and Olympic Committee (SASCOC) and the International Surfing Association (ISA). Conditions that started out sublime, deteriorated into a gale-force buster and then returned to gentle offshore challenged the top class field on the opening day of the Royal St Andrews Hotel Port Alfred Classic pres. by Quiksilver in the Eastern Cape on Friday. Organisers ran through the opening rounds of the World Surf League (WSL) Qualifying Series (QS) men’s and women’s events and the Longboard Qualifying Series (LQS) men’s and women’s events in an attempt to get as much of the contest as possible completed before Sunday when a huge swell is predicted to slam into the area. It was the women who created the highlights and the biggest upsets with reigning WSL Africa champion Nicole Pallet (La Lucia) producing the ride of the day, a near-perfect 9.25 out of 10 for a series of high performance manoeuvres. The top seed could only add a 4.35 to her total and was pushed all the way by eventual heat runner-up Josefina Ane from Argentina. Ane’s 12.10 point heat tally was enough to upset Kai Woolf (Jeffreys Bay), winner of both the women’s and junior women’s events in Port Elizabeth last weekend, and the young South American in her first season on the QS is certainly an emerging talent. Emma Smith (Jeffreys Bay) accumulated the highest heat total of the women’s rounds – 13.70 out of 20 – and East London teenager Zoe Steyn earned an excellent 8.0 for a dynamic performance on her backhand. There was also a major surprise in the women’s longboard event when SA champion Christy Gilmour (Durban) was eliminated in her first heat by Marishka Myers (Jeffreys Bay). Tarryn King (Cape Town) was the top scorer in the opening round and will face shortboard ace Crystal Hulett (St Francis Bay) in the semi-finals while Myers will be up against newcomer Mia Baard. The longboard men were competing when the buster threatened to blow the contest infrastructure away, but Ryan Lightfoot persevered and seamlessly combined modern and traditional manoeuvres to net a pair of seven point rides and the heat win over fellow Jeffreys Bay resident and former World No. 2 Steven Sawyer. Sawyer was determined to compete despite the pain of stitches having recently been removed from his foot. Thomas King produced an excellent 8.25 to claim the top single ride of the opening round and also claimed the highest heat total of 14.0, while fellow Capetonian and former two-time ISA World Champion Matthew Moir showed his class with a comfortable heat winning performance. The QS1,000 men’s event saw the contenders whittled down to the last 16 who advanced to meet the top 16 seeds in Saturday’s Round 4. Longtime East London standout and WSL Championship Tour (CT) veteran Greg Emslie showed that the years have not diminished his competitive juices or his ability as he confidently progressed from his opening heat. Others to stay in contention included a mixed bag of up-an-coming youngsters and established campaigners with former multiple SA champion Wayne Monk (East London) advancing alongside the likes of Dillon Hendricks (Jeffreys Bay), Calvin Goor (Salt Rock) and Luke Malherbe (East London) who posted the division’s top heat total of 14.25. The Royal St Andrews Hotel Port Alfred Classic also hosts activities designed to foster and encourage surfing among young people, regardless of their background. These are coordinated by Surfing South Africa, the national controlling body for the sport, and run by SSA Development Officer, Danielle Powis. Organisers will meet at East Beach at 7.30 am local time on Saturday to make a call on when to get the contest underway, with an 8 am start anticipated. Live scoring, results, photos and video footage will be available on www.WorldSurfLeague.com and on the WSL App, with highlights on the WSL QS Facebook, Twitter and Instagram accounts. All three South African longboard surfers who jetted halfway around the world to compete in the inaugural Kumul PNG World Longboard Championships suffered early exits as the top seeds were upset by their peers in the outstanding surf. The first of two events that will determine the 2017 WSL longboard champion, the event is also the first WSL event to be staged in Papua New Guinea in the South-West Pacific. Steven Sawyer (Jeffreys Bay), the No. 2 seed following his runner-up finish in the 2016 WSL World Longboard Championships on Hainan Island, China in December, placed second in his Round 1 heat before receiving a walk-thru to Round 3 when his opponent did not show up. In Round 3 Sawyer dispatched Bage Brayner (BRA) with a heat tally of 13.07, which included an excellent ride that earned 8.0 out of 10, but could not maintain his momentum in his three-man Round 4 encounter where he placed third and was eliminated from the event in equal ninth place overall. Matthew Moir (Cape Town) followed a similar path, taking the runner-up position in his opening encounter and then walking though to Round 3. The former two-time ISA world longboard champ faced Adam Griffiths (GBR) for a second time and again finished second, ending his campaign in equal 13th spot. Alfonso Peters (Muizenberg), the third member of the WSL Africa contingent, also finished runner-up in his first ever heat outside South Africa. But the 27 year-old former Manenberg street child who was mentored by the Surf Shack outreach program and defeated Moir in the Tigers Milk Surf Classic at his home break last year, was outpointed by the experienced Kevin Skvarna (USA) in Round 2, placing 25th overall. Both the men’s and women’s events are down to the last eight competitors. The event has three days of waiting period remaining for the organisers to find the best possible conditions at the long righthand reef break in order to crown the respective champions. The World Surf League (WSL), formerly the Association of Surfing Professionals (ASP), is dedicated to celebrating the world’s best surfing on the world’s best waves through a variety of best-in-class audience platforms. The League, headquartered in Santa Monica, is a truly global sport with regional offices in Australasia, Africa, North America, South America, Hawaii, Japan and Europe. The WSL has been championing the world’s best surfing since 1976, running global events across the Samsung Galaxy Men’s and Women’s Championship Tours, the Big Wave Tour, Qualifying Series, Junior and Longboard Championships, as well as the WSL Big Wave Awards. The League possesses a deep appreciation for the sport’s rich heritage while promoting progression, innovation and performance at the highest levels. Showcasing the world’s best surfing on its digital platform at WorldSurfLeague.com as well as the free WSL app, the WSL has a passionate global fan base with millions tuning in to see world-class athletes like Mick Fanning, John John Florence, Stephanie Gilmore, Greg Long, Gabriel Medina, Carissa Moore, Makua Rothman, Kelly Slater, Adriano de Souza and more battle on the most unpredictable and dynamic field of play of any sport in the world. Riyue Bay, Wanning/China (Sunday, December 1, 2016) – South Africa’s Steven Sawyer (Jeffreys Bay) finished runner-up to Brazilian Phil Rajzman in the final of the 2016 Jeep World Longboard Championship presented by Wanning at Riyue Bay on the Island Of Hainan in China on Sunday. Sawyer started the final day of competition by defeating Rodrigo Sphaier (BRA) and Cole Robbins (USA) in Round 4, before overcoming the challenges of former world champion Harley Ingleby (AUS) in the quarters and Sphaier again in the semis in the inconsistent 1 – 1.2 metre waves. Rajzman got off to a fast start in the final, posting a championship winning total of 17.34 on his first two rides. Sawyer opened his account with an excellent 8.50 for a series of critical nose rides and sweeping cutbacks, but was left chasing a score of 8.85 for the remainder of the 30 minute encounter. The South African found some long set waves under priority but couldn’t quite post the excellent score he needed, coming closest with a 7.93 on his penultimate ride. After finishing in last place in the 2015 event, to finish second in the world this year is as good as a win for Sawyer. The Jeffreys Bay resident is just as dynamic on a shortboard as he is on a longboard, winning a wildcard into the J-Bay Open Championship Tour event in his home town in July. He earned US $6 000 (approx. R81 000) for his runner-up spot in China and will be seeded second at next year’s world longboard champs. Rajzman surfed a solid event but left his best performance till last, displaying huge commitment to nose rides and smooth flowing power turns. He made history in 2007 by becoming the first Brazilian World Longboard Champion and nine years later he has done it again. Sphaier and two-time World Longboard Champion Taylor Jensen (USA) finished in equal third in the world, while Matthew Moir was the next highest placed South African. A two-time ISA world longboard champion, Moir finished equal ninth overall in China after placing third in his Round 4 heat behind defending 2015 world champ Piccolo Clemente (PER) and Ingleby. Tory Gilkerson (USA) clinched the Jeep Women’s World Longboard title on Saturday, defeating Brazilian prodigy Chloe Calmon in the final. South Africa’s Tarryn King (Muizenberg) finished 13th overall. Riyue Bay, Wanning/CHN (Thursday, December 8, 2016) – South Africans Steven Sawyer and Matthew Moir advanced to Round 4 of the 2016 Jeep World Longboard Championship presented by Wanning as Riyue Bay on the Island Of Hainan in China continued to serve up pumping one metre waves for the fourth straight day. Sawyer, a rank-outsider in the event after finishing 25th last year, upset former two-time world title-holder Taylor Jensen (USA) in his opening heat on Tuesday and continued his giant-killing act by defeating fifth seed Jeferson Silva (BRA) today to move into the last 12 of the men’s event. The silky smooth goofy-footer from Jeffreys Bay arrived at the venue a fortnight ago and made good use of his practice at the venue as he rode the nose and switch turned his way to victory in both heats. Moir, a former two-time ISA world longboard champion with a best finish of 5th in the 2013 WSL world longboard champs, struggled to find good waves in Round 1. But bounced back with solid win over Kaniela Stewart (HAW) in Round 2 yesterday and went on to defeat good friend Adam Griffiths (GBR) today to join Sawyer in the last 12. Thomas King traveled to China to support his wife Tarryn, who had qualified to represent WSL Africa in the women’s event. However, a late withdrawal from the men’s event saw the Capetonian awarded a wildcard and, like Sawyer, he caused a major upset in Round 1 by relegating Silva to Round 2. Despite surfing well today, King was no match for top seed and reigning world champ Piccolo Clemente (PER) who posted a perfect 10 point ride and added a near-perfect 9.80 to oust the South Africa. King pocketed US $1 300 (approx. R17 500) for his equal 13th place finish. Grant Beck of Port Elizabeth and Tarryn King were both eliminated in their respective men’s and women’s Round 2 encounters. The 2016 Jeep World Longboard Championships hosted by Wanning Province with support from Corona waiting period runs from Dec 4-13 and will be broadcast live at www.worldsurfleague.com and on the WSL App from approximately 2am SA time daily. Matthew Moir heads a quartet of South Africa’s top longboard surfers who will compete against the world’s best riders of traditional nine foot plus surfboards in the GoPro World Longboard Surfing Championships presented by Wanning that gets underway at Riyue Bay on Hainan Island in China tomorrow (Friday). The event will crown the 2014 ASP Men’s and Women’s Longboard Champions and runs from 5 to 12 December featuring 36 surfers from a total of 12 countries in each event. There is a total of US $100 000 in prize-money on offer. Moir, a former two-time ISA World Champion who has also won the Rabbit Kekai Classic in Costa Rica and eight South African Open Men’s titles, will revel in the long left breaking waves at Riyue Bay which are similar to his favourite home break of Elands Bay on the West Coast of South Africa. The 37 year-old Capetonian is looking forward to meeting up with friends and former opponents in China after competed extensively on the ASP World Longboard Tour in the mid 2000’s, regularly placing in the top 10 at events. He suffering a stroke in 2009 and has cut back on his international travel since then. Moir will be joined in the Men’s event by Grant Beck (Cape St Francis) who will be making his debut in the World Title event after reaching the finals of the SA Longboard Championships earlier this year. The ASP Africa representatives in the Women’s event are reigning SA champion Hannah Bing from Cape Town and Margreet Wibbelink, the 2014 SA Women’s runner-up, from Jeffreys Bay. It will be Bing’s first World Championship event while Wibbelink competed in China last year when she reached Round 2 before being eliminated. This year will see the fourth edition of the ASP World Longboard Championships on Hainan Island, and the event has been confirmed for the next three years. The defending champions are Piccolo Clemente (PER) in the Men and two-time winner Kelia Moniz (HAW) who has reached the final in the Women’s event for the past three years, all of them against Chelsea Williams (AUS). 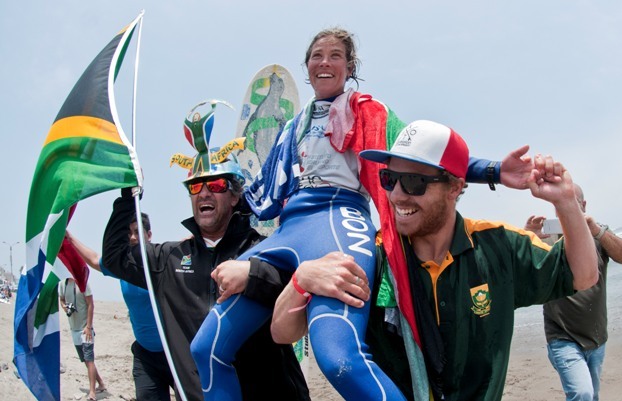 Simone Robb was crowned the 2013 ISA Women’s World Longboard Surfing Champion as Team SA collected the silver medal in the team standings and Thomas King and Ethan Pentz earned Copper medals in the Men’s and Junior divisions respectively when the ISA World Longboard Surfing Championships ended at Huanchaco in Peru yesterday (Saturday). Robb, a multiple SA surfing champion and mother of two from Kommetjie, went undefeated throughout the entire event and posted the highest scores in the Women’s division, including the final where her long opening ride earned the heat’s highest score of 8.17 out of 10 and ultimately the gold medal. Robb’s victory, combined with fourth place finishes by King and Pentz in their finals and a ninth place in the Men’s division by Justin Bing, the fourth team member, were sufficient to earn Team SA the silver medal behind France whose Antoine Delpero won Men’s gold with Martin Coret taking silver in the Juniors (U18) and Justine Dupont bronze in the Women. 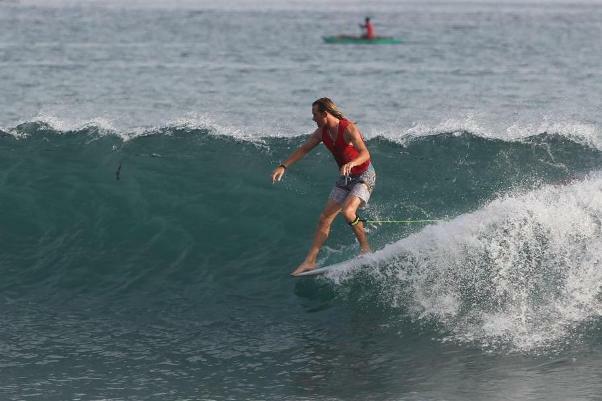 King, attending his first ISA World Championship event, also surfed flawlessly through the five rounds of the Men’s division, advancing directly into the Grand Final without dropping into the repercharge rounds. He started the final with an outstanding 9.0 score on the first wave but struggled to find a decent backup score and was eventually overhauled by 2009 ISA World Longboard champ Delpero, European champ Ben Skinnner (GB) and former ASP World Longboard champ Phil Rajzman (BRA). Pentz, the 2013 SA Junior Longboard champ, advanced to Round 3 of the Junior division where he slipped to third place before winning the repecharge final to gain entry into the Grand Final. The teenager from Kalk Bay could not find a wave with scoring potential in the final despite recording 10 rides, five more than his opponents, but will be elated with a medal in his first international event. In a major success for gender equality, the Junior gold medal was won by Honolua Blomfeld, a 14 year-old girl from Hawaii, who totally dominated the division by winning every heat she contested to finish ahead of Martin Coret (FRA), Ciao Santana (BRA) and Pentz. Bing (Noordhoek), a former SA champion and national team member in both longboard surfing and stand up paddling (SUP), slipped into the repercharge rounds on Day 1 in Peru and despite progressing through five cutthroat rounds he was ultimately eliminated in Round 6, finishing equal ninth overall. The four-person South African team that competed in the historic inaugural stand-alone ISA World Longboard Championships and the first to crown Women and Junior world champions was expertly managed and motivated by Deon Bing (Noordhoek). The International Surfing Association (ISA) is recognized by the International Olympic Committee as the World Governing Authority for Surfing. It was originally founded as the International Surfing Federation in 1964 and has been running the Open Division World Championship since 1964, the World Junior Surfing Championship since 1980, the World Masters Surfing Championship since 2007, the World Bodyboard Championship since 2011, the Hainan Wanning Riyue Bay International Surfing Festival in China, and the World Standup Paddle (SUP) and Paddleboard Championship beginning in 2012. The ISA also sanctions the World Kneeboard Titles and the World Tandem Surfing Championship, and will launch the World Longboard Championship in 2013. ISA membership includes the surfing National Governing Bodies of 75 countries on five continents. Its headquarters are located in La Jolla, California. It is presided over by Fernando Aguerre (Argentina), first elected President in 1994 in Rio de Janeiro and re-elected seven times since. The ISA’s four Vice-Presidents are Alan Atkins (AUS), Karín Sierralta (PER), Debbie Beacham (USA) and Layne Beachley (AUS). Thomas King and Simone Robb advanced to today’s Grand Finals of the Men’s and Women’s divisions at the ISA World Longboard Surfing Championships in Peru when they both placed second in their respective qualifying stream finals yesterday (Friday). Ethan Pentz remains in contention for a spot in the Junior Grand Final despite placing third in his qualifying stream final heat yesterday while Justin Bing’s arduous campaign through the gruelling Men’s repercharge rounds came to an end in Round 6 where he placed third and was eliminated in equal ninth place overall, securing 1 000 precious points towards Team SA’s challenge for the team title. The inform King finished second to recently crowned European Longboard champion Ben Skinner (GBR) in the clean one metre waves at Huanchaco yesterday, relegating brothers Edouard and Antoine Delpero from France, the only team to still have all four surfers in the event, to the repercharge final. Robb, who had dominated her earlier heats, just held onto second place by a narrow 0.10 of a point to advance to the Women’s Grand Final and qualify for a medal along with heat winner Justine Dupont (FRA). Third and fourth placed Megan Godinez (HAW) and Mary Gil (ARG) get another chance to reach the Grand Final through the repercharge round final. The provisional team standings heading into today’s final day in Peru see France leading the chase for the gold medal at the inaugural stand alone ISA World Longboard Championships. Team SA holds second place with three surfers still accumulating points, followed by host nation Peru, Brazil, Hawaii and Argentina, all of whom have two team members in the event. Team SA failed to qualify for the final of the ISA Aloha Cup (a form of relay surfing where the four man teams must each ride three waves before tagging the next team member, with all 12 waves completed in one hour) when they placed third behind France and Brazil in their semi-final. The results of the Aloha Cup do not count towards the team standings. Ethan Pentz will be the first SA surfer in action today when he contests the Junior repercharge final where a first or second place finish will see him advance to the Junior Grand Final. The ISA World Longboard Surfing Championships ends today when the top teams, the individual performers in the Men, Women and Junior (U18) divisions and the teams in the Aloha Cup will earn gold, silver, copper and bronze medals.